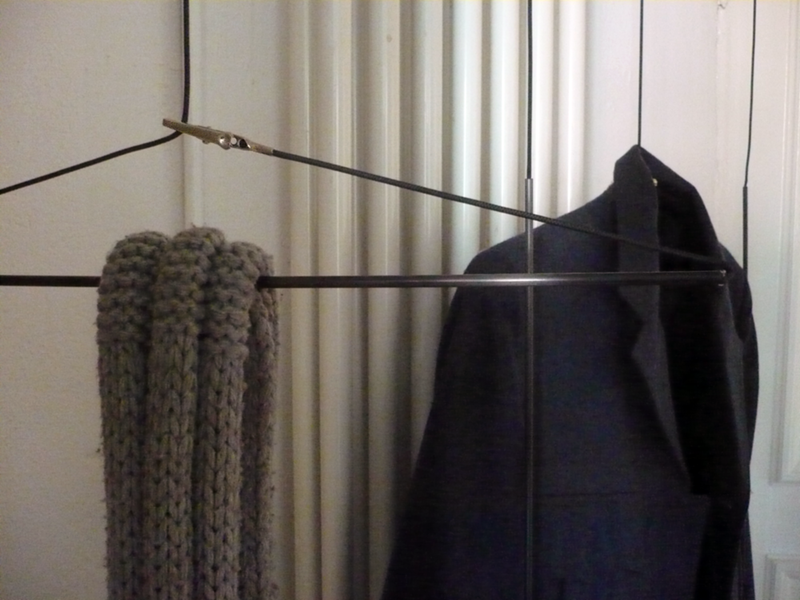 Clip and Hang is a minimalistic clothes rack. It can hang alone and be a feature object for itself. Also it can be fitted in a corner using a “dead” space of the living area. 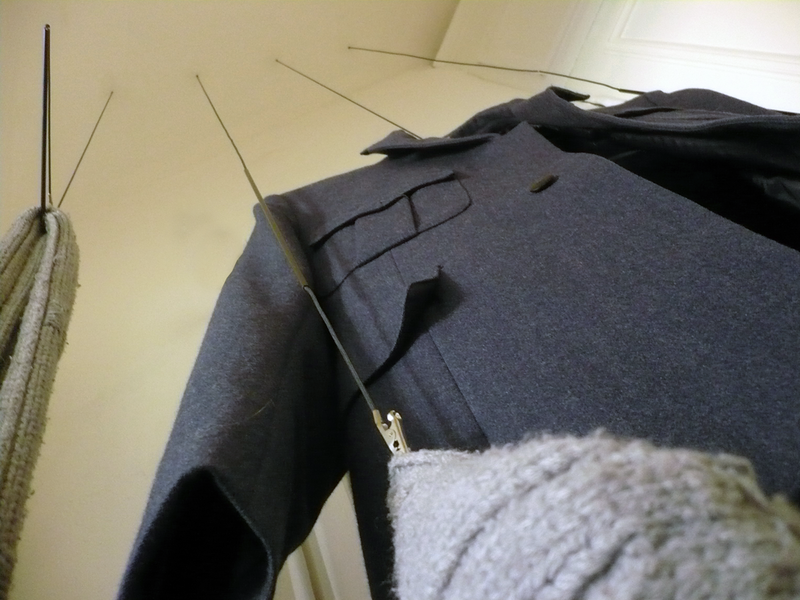 Each thread/rope is fitted with carbon tubing and a crocodile clip perfectly spaced. When not in use it looks like a fine line with a small clip on its end. To make it fully functional one has to take the ending with the crocodile clip and clip it back to its thread on the marked spot. 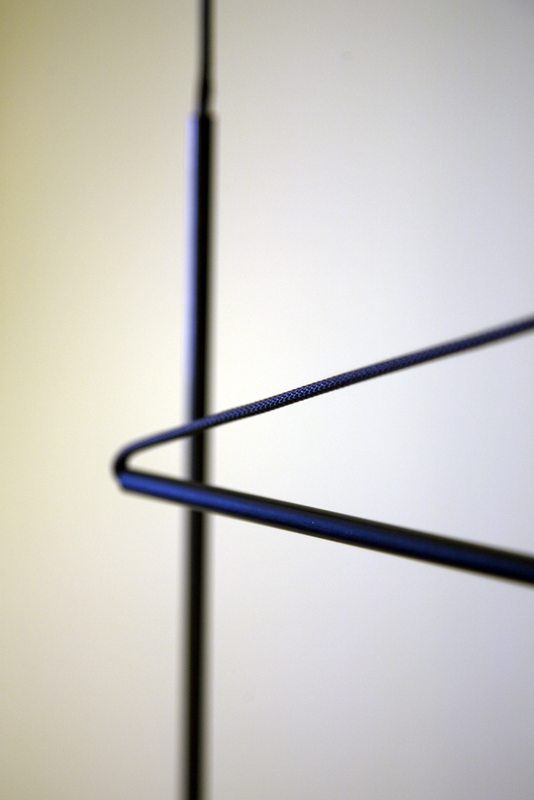 The gravity will provide the tension needed for an item to hang and the carbon tubing will provide its rigidity not to fold. 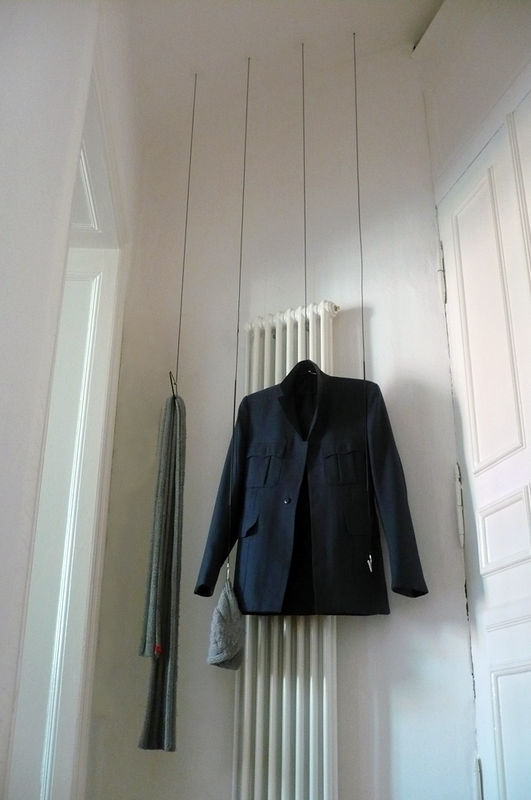 Its verticality makes the space where it hangs appearing higher.